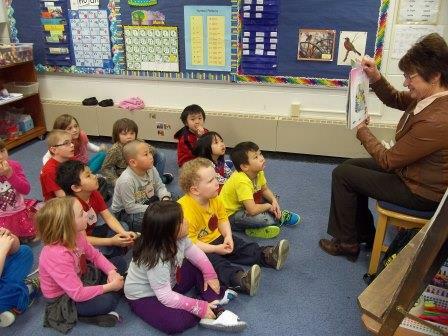 Wausau Early Birds Rotary made a commitment in 2006 to support literacy for families in Marathon County. Our Club has sponsored evening family literacy sessions, storytellers, and author sessions to teach parents how to work with their students as they increase their reading and writing skills and to give students the opportunity in small group sessions to learn reading and writing strategies. This program is a true community collaborative effort. It is supported by educators from the D. C. Everest Area School District, the Wausau School District, and Newman Catholic Schools and other private schools in the area. We have had support from the Talent Shop, Wausau Awards and Engraving, Scholastic Books, Janke Book Store, Leklam-Penn Specialty Products, Hadley Office Products and many others. We also supply the Women’s Community with books for both students and their mothers. This is an exciting program that makes a difference to literacy in Marathon County. 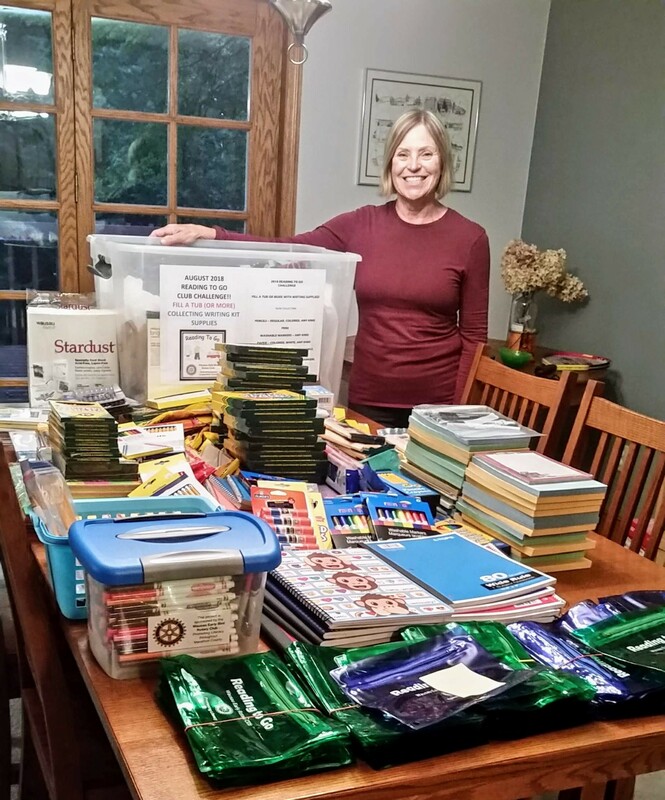 The Wausau Early Birds Rotary Club was asked to collect writing supplies for their Reading to Go Literacy program. In typical Club form, the challenge was to fill a tub, and Rotarians went above and beyond. Bev Meyer, our Program Coordinator, is getting ready to fill writing kits for our kindergarten friends.